Parents Plus are inviting PP Facilitators to a FREE Advanced Practice Workshop in Dublin in June to cater specifically for more experienced facilitators. The workshop will focus on further developing group facilitation skills, effective programme set-up and delivery, managing challenges, and strengths based engagement with parents. Once you have added all your purchases to the basket please proceed to the checkout. Alternatively, you can checkout at any time using the basket top right of the screen. Attendees THERE ARE NO ATTENDEES ADDED YET. Please add one attendee at a time using the form below. Once you have added all attendees you can checkout your purchases. Alternatively you can checkout via the basket at top right of the screen. 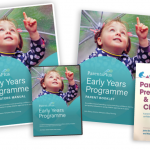 All attendees must have access to programme materials during the training and to run a Parents Plus programme. Facilitators in the same agency can share a set of materials and a minimum of one set per two facilitators is recommended. Untick if you do not wish to purchase the required programmes materials. My agency has already purchased programme materials - Please note that the programme pack must be brought along to the training days. 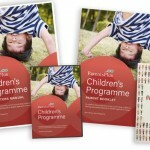 I plan to purchase programme materials after I attend the training, before I run a Parents Plus Course. Please note that you may only order parent booklets and other programme materials if you are a facilitator who already has been trained or belong to an agency with staff already trained. Parents Plus are inviting PP Facilitators to a FREE Advanced Practice Workshop in Cavan on 30th April to cater specifically for more experienced facilitators. Cost: Free to attend for PP Facilitators but you must book online to reserve a place. To book a place on this Advanced Practice Workshop, book online below under supervisions. Parents Plus is hosting a free introductory seminar on the five Parents Plus programmes in Dublin in April 2019. Please note when booking this free seminar, you will be brought to the payment’s page to confirm your booking. On this page, check all of your details and tick the box beside ‘I wish to be issued with an invoice’. Then click the Process Order button. You won’t be sent an invoice for this free seminar but your order will then be confirmed. Have experience of delivering the Parents Plus Programmes in frontline agencies and/or managing the roll out of the programmes to communities. Are parents who have attended a Parents Plus programme and who could represent the views of parents and families. Trustees are expected to attend five to seven board meetings a year and to participate in various subgroups that may be established from time to time. While the Directors are elected at the AGM each year, we envision that Trustees who become involved consider they are making a three to five year commitment. As per the Charity Governance code, Directors are voluntary appointments. Parents Plus will support Trustees in gaining access to relevant training for the role and will pay all travel and subsistence expenses incurred in acting as a Trustee. CVs will be reviewed by the CEO and the Chair of the Board and suitable applicants will be offered an individual interview. Once a candidate is approved, then the person is invited onto the Board for a trial period of six months. This trial period allows both the candidate and the Parents Plus Board to decide if there is a good fit. At the end of the six months, if both the candidate and the existing Board members are happy then the candidate is invited to become elected as a trustee at the next AGM. 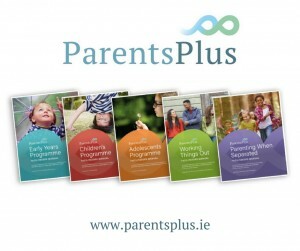 Parents Plus CLG was founded in 1998 and works to develop and disseminate evidence-based programmes for families in Ireland and internationally. In order to ensure long-term sustainable benefit, the charity adopts a ‘train the trainer’ approach to empower professionals and community leaders to deliver the programmes in their agencies and local areas. Specifically, Parents Plus provides programme materials and facilitator training, post training supervision and coaching, as well as evaluation and implementation support to local agencies and groups over time to build long-term family support capacity, particularly in disadvantaged communities. 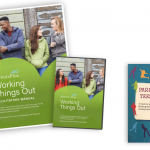 Parents Plus currently has five flagship programmes, which are delivered as structured courses with small groups of parents, children and adolescents utilising DVD input, handouts, group exercises and homework. 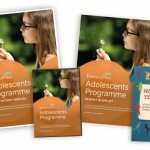 The programmes are delivered over six -12 weeks to small groups of parents and adolescents by community professionals who have undergone Parents Plus training. 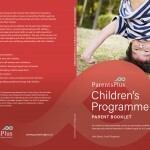 a) Parents Plus Pathways Programme to support parents with children with a disability. b) Parents Plus Healthy Families Programme to support healthy, active and positive family lifestyles. 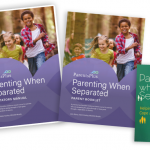 The Parents Plus Programmes have all been developed in partnership with Irish parents and children specifically including their individual experiences. 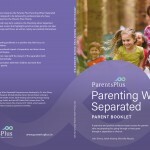 There is now a substantial body of evidence demonstrating the high impact of the Parents Plus Programmes in terms of reducing emotional/behaviour problems for children, alleviating parental stress, as well as improving children’s learning within the home. See www.parentsplus.ie/research for further details. Parents Plus are inviting PP Facilitators to a FREE Advanced Practice Workshop in 2019 to cater specifically for more experienced facilitators. To book a place on this Advanced Practice Workshop, book online below under additional training. Group supervision training sessions are a great opportunity for you to meet with your colleagues, reflect on your experiences of running Parents Plus groups thus far, and access support to improve your practice. 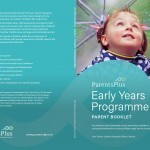 In order to recognise the many facilitators and agencies who continue to deliver the Parent Plus programmes in a sustained quality way, Parents Plus are identifying a number of ‘champion’ facilitators, who will be eligible for extra support and supervision, as well as reduced cost training and programme materials. Details about how to apply to become a Champion Facilitator are below. Receive extra support and supervision from Parents Plus Trainers to deliver your services to families. Access to lower cost programme booklets, supervision and additional training. Be eligible to apply for a discount on Parents Plus training for colleagues in your agency (who are going to co-facilitate groups). Be recognised as delivering a quality service in your community. Receive a special certificate from Parents Plus to recognise your champion status for the year you receive it. Parents Plus reserve the right to vary discount rates at any point. 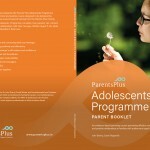 Delivering one of the Parents Plus programmes at least two times a year. Following the Parents Plus Quality Protocol as you deliver the programmes. Be an accredited facilitator or be working towards accreditation. Have run a Parents Plus programme at least twice in the preceding 18 months and have plans to run one twice in the next 18 months. Be prepared to return to Parents Plus audit data on groups run (e.g. anonymised parent course review forms at the end of each group). Have the full support of management in your agency re: becoming a Parents Plus Champion Facilitator. Be prepared for you and your agency to be identified as a Parents Plus Champion on the Parents Plus website and within our social media communications. Parents Plus invite joint applications from co-facilitators in an agency delivering groups together, though individual applications will be considered also. Champion status is awarded on a yearly basis and it can be renewed annually, once the facilitator(s) continues to meet the criteria above. You are eligible to apply if you are working within an agency that has open referral for families (e.g. advertised to the public) and within specialist agencies with internal referral only (e.g. CAMHS and disability settings). The closing date for applications for the coming year is Thursday, 30th January 2019. We are always delighted to keep in touch with facilitators and hear about how the groups are going, the things that are working well and any of the challenges. We would like to support you in continuing to run good quality groups for parents and young people attending your service. Over the next period (until the end of Feb. 2019), we are offering free Supervision Sessions by phone or Skype/Facetime/Zoom. These supervision sessions are available to individual facilitators, co-facilitating pairs or small groups of practitioners delivering the PP programmes within a service. You may be running or have recently run a group, or you and your colleagues may be aiming to get Parents Plus off the ground again in your service, or you may be a newly trained facilitator wanting support in getting started. To apply to avail of one of these free Supervision Sessions please email Eileen Brosnan at eileen@parentsplus.ie asap with the below details. If you are applying on behalf of yourself and a co-facilitator or small group in your agency please include all names. We will then get in touch to arrange a suitable time-slot for you. These slots are limited, so we would encourage you to get in touch soon to secure a session. Which PP programmes are you trained in? How many groups have you run so far since you were trained? Are you currently running a programme? Give details of programme, start and finish dates, numbers etc. What is your main goal for the Supervision Session? Bookings are now taking place for the Parents Plus programme trainings in 2019. You can book below for the programme that you are interested in. A parenting course to promote confidence, learning and positive behaviour in children aged 1 to 6 years. You may only purchase programme materials without training if you are a facilitator who already has been trained or belong to an agency with staff already trained. Please provide the name of the trained facilitator below. programme materials only, without training. Programme materials can be purchased together with training at a special discounted price of € 300. A parenting course to promote confidence, learning and positive behaviour in children aged 6 to 11 years. A parenting course to promote effective communication and positive relationships in families with adolescents aged 11 to 16 years. A CBT based youth mental health programme that can be used with small groups of adolescents to build coping capacity, promote positive emotional health and to support them in overcoming specific problems. A practical and positive six-week course for parents who are preparing for, going through or have gone through a separation or divorce. If you wish to find out more about additional Parents PLus training, supervision sessions and accreditation click here.